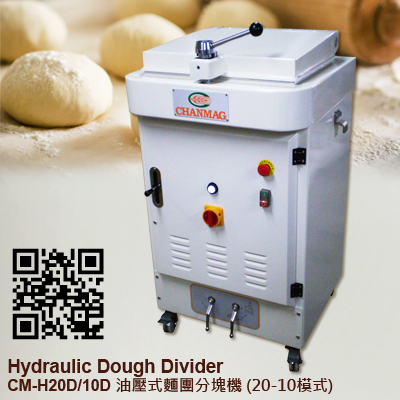 CHANMAG Semi-Automatic Dough Divider & Rounder CM-30A, 30B, 36A, 36B, 22A offers superior rounding, durability and increased production for bakeries and factory operations.The machine divides and round dough with ease, permanent lubrication to protect transmission, machine head can be tilted for easy cleaning of knives. 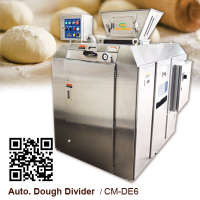 This allows you to create different types of rolls with varying weight ranges and sizes in the same machine as well as facilitate easier cleaning and maintenance.Have 5 different types of machines with its capacity in 22pcs, 30pcs and 36pcs per dough plate. 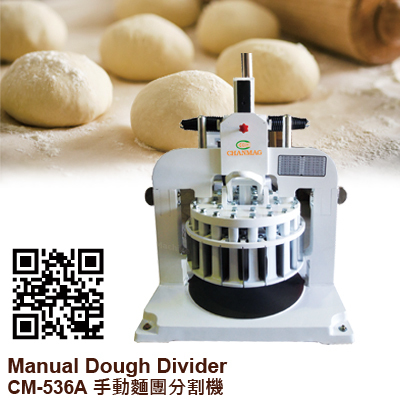 - Machine base design: Larger base can be helped to operate with more stability and easy operation. 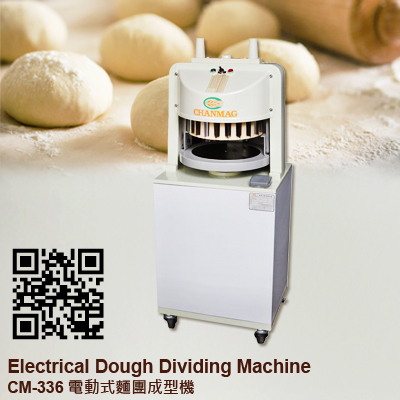 - Machine stand design: With a bigger stand inside is easy for fixing and convenient for installation. 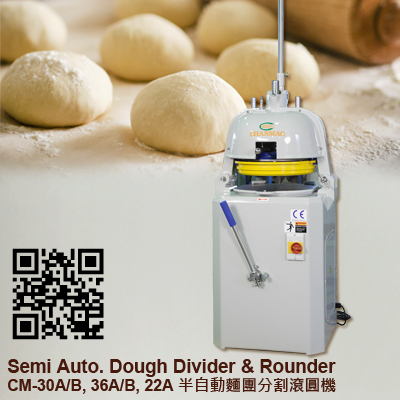 - Rounder design: Bigger rounding diameter’s design can be faster rounding speed and good rounding pieces. 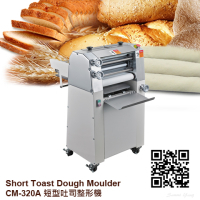 - Rounding tray design: With a special treatment is to eliminate the situation of static electricity. 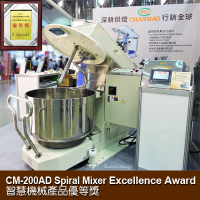 - Eccentric wheel design: Through professional instrument revision, running status is stable. 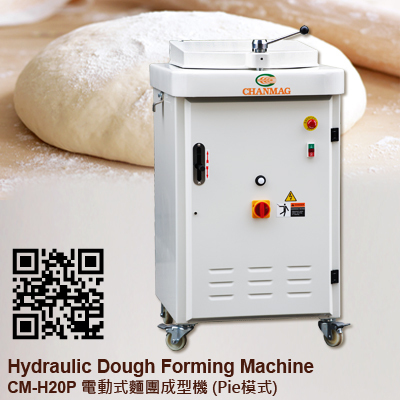 - Safety standard: Machine manufactured according to CE regulations.